The gaps in the security token space are everywhere. From liquidity providers, custodians, legal frameworks, ownership transfer processes are all areas that need work in the security token market. However, the number one gap that the entire market was obsessing about was the lack of security token exchanges. Yesterday, the “brave” team of Open Finance unveiled their network making security tokens a viable, tradeable mechanism for mainstream investors. I have been following the Open Finance project for a few months and think classifying it as an exchange would be an understatement. The Open Finance Network is a protocol for the end to end processing of security token transaction. The initial focus of the platform has been the clearing and settlement process for security tokens acting as a broker between different market actors such as custodians, token issuers or transfer agents. Saving the distance, you should not think of Open Finance as the Nasdaq of security tokens but more like the Bloomberg of the space. From the functional standpoint, the Open Finance Network has three main components: the ledger, the token and the adaptors. 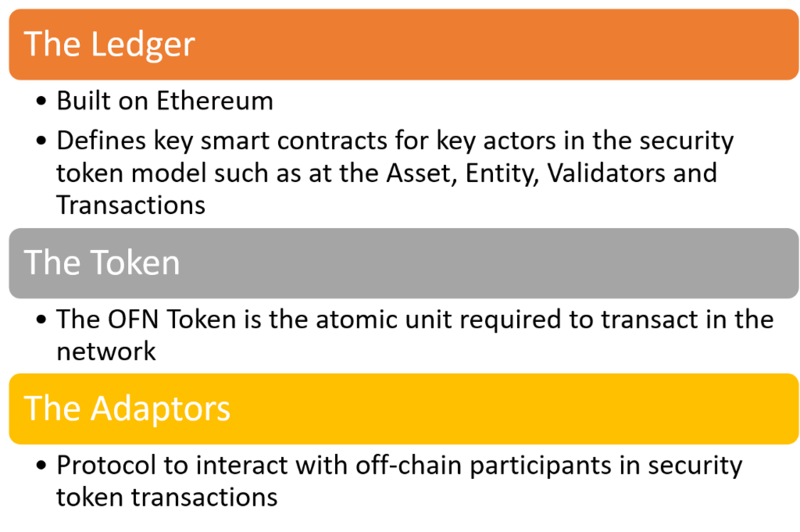 Those three components can be assembled in different ways to enable many relevant processes in security token transactions. The Open Finance Network contains a global registry of assets that are represented by security tokens as well as entities such as broker-dealers, transfer agents, custodians or escrow agents that can be used on different security token processes. From the technical standpoint, the Open Finance Network Ledger abstracts its interactions using smart contracts defined at the entity and asset level. The asset smart contract is the core contract which stores information about assets in the platform, as well as their relationships, transactions and events. 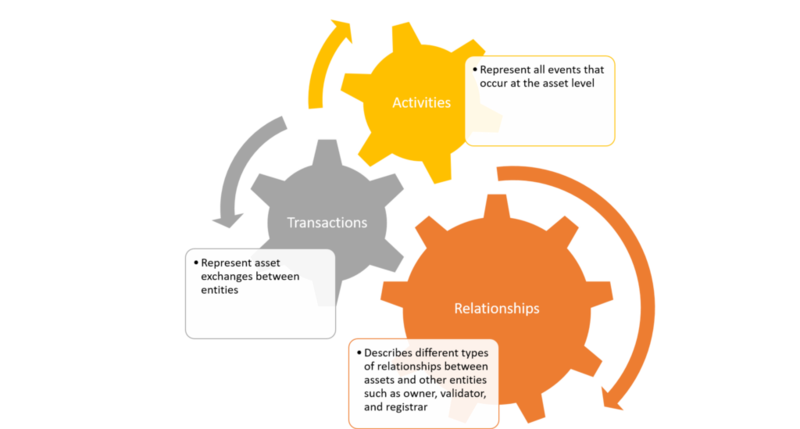 The asset smart contract is composed by three main data structs: Relationships, Transactions and Activities. The entity smart contract Entity smart contract is the core contract which stores data about all entities in the system, as well as their verifications and transactions. 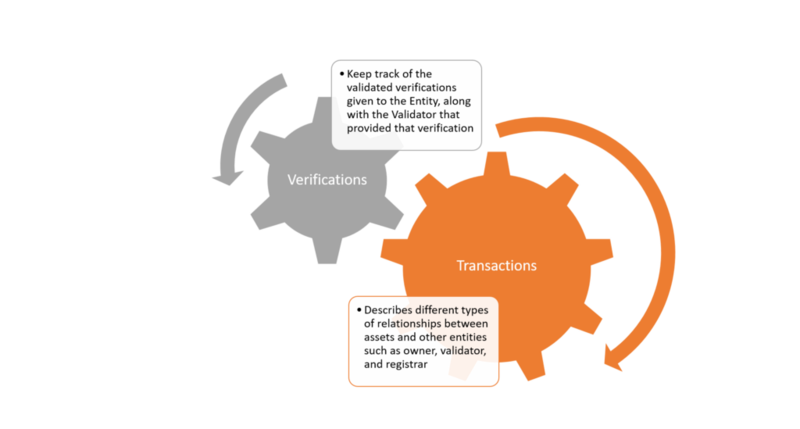 Its main two constructs are verifications and transactions . The Open Finance Network Token acts as a license to transact in the platform. The number of transactions allowed per token are controlled by an algorithm that adjust the token capacity based on the activity in the network. At the same token, the capacity of the network is designed to increase based on the level of activity. Adaptors in the Open Finance Network can be seen as Oracles that bridge the communication with off-chain participants such as websites, APIs or mobile applications. This mechanism is particularly important in security tokens as many of the regulatory processes in the space take place off-chain. Security is one of the areas in which the Open Finance Network excels. The platform leverages zero knowledge protocols to ensure anonymity and privacy of the transactions. Similarly, all sensitive private data is stored on a secure federated sidechain (SFS), which is then hashed back to the public chain to provide immutability to the SFS. From that perspective, the Open Finance Network provides both privacy for live and persisted data. The launch of the Open Finance Network represents a major development in the security token ecosystem. The platform will allow many of the ideas behind the first wave of security tokens to be tested in real world environment. Obviously, Open Finance still has a lot of work to do to become comparable with the top crypto exchanges in the market but its certainly off to a great start. The Launch of Open Finance and the Day Security Tokens Became Real was originally published in Coinmonks.